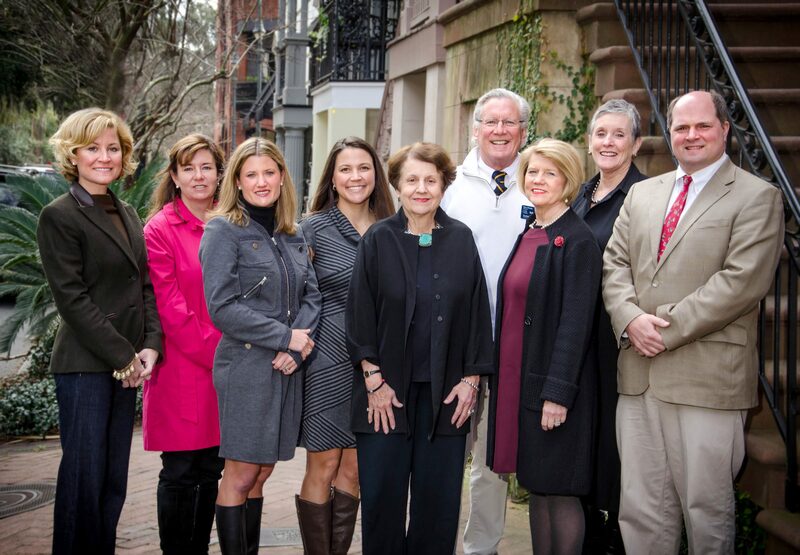 Savannah real estate experts at Celia Dunn Sotheby’s International Realty recognized as Top Producers for 2012. (SAVANNAH, GA) Savannah and Low Country real estate experts earned 2012 Top Producer recognition from Celia Dunn Sotheby’s International Realty. Casey Schivera, Helen Williams Johnson and the team of Carolyn Ezelle and Lavinia Strong earned 2012 Top Producer status, along with Peter Westley, Franklin Williams, Stewart Marshall, Lucy Hitch, Lauren Tomhave and Staci Donegan. Casey Schivera works with clients in neighborhoods all through Savannah and the surrounding area. She is very active in the community, having served on the Camp Villa Marie Advisory Board and Tourism Leadership Council-membership committee. A Junior League of Savannah Sustainer and member of the Daughters of the American Revolution, she volunteers with Historic Savannah Foundation and Blessed Sacrament School and Church. Schivera previously worked as a senior sales and specialty pharmaceutical representative for more than 10 years. She graduated from the University of Alabama in Tuscaloosa with a double major in geography and geology. Native Savannahian Helen Williams Johnson is well-versed in Savannah area real estate. She was a 2009 and 2010 Top Producer and has been recognized for being in the Distinguished Sales Society. She is certified in short sales and foreclosures and is licensed in both Georgia and South Carolina. Johnson is very active in the community, having chaired the Telfair Ball and the Telfair Art Fair. She sits on the Savannah Tech Community Council Board and the Davenport House Committee Board. She is a graduate of Savannah Country Day School and earned an economics degree from Armstrong Atlantic State University. Carolyn Ezelle and Lavinia Strong, The Ezelle Strong Team, have received consistent top producer honors at Celia Dunn Sotheby’s International Realty and are continuing Distinguished Sales Society members. They are Short Sale and Foreclosure specialists and participated in the second highest selling residential property sale in Savannah in 2011. Prior to joining Celia Dunn Sotheby’s International Realty, Carolyn Ezelle worked as a pharmaceutical sales representative and an over-the-counter trader. Lavina Strong has 15 years of sales experience and graduated from the University of Georgia with an International Business degree and minor in French. Both are active volunteers for St. John’s Episcopal Church, Hancock Day School, and Savannah Country Day School, where both families send their children. Founded in 1981, Celia Dunn Sotheby’s International Realty is noted for outstanding service to its clients, thorough knowledge of Savannah and the South Carolina Low Country, and excellent staff, in addition to having one of the region’s top property management departments. The owners are natives of Savannah who have more than 60 years’ combined experience in real estate. The offices are located at 9, 13, and 17 West Charlton Street on Madison Square in Savannah and 336 Buck Island Road in Bluffton, S.C.